1. Cut up your cauliflower into florets and pulse in a food processor until it has the shape of rice. I did mine in 3 batches so I didn't overfill my food processor. >>Next, you'll need to fill a pot with 1-2in water and bring it to a boil. 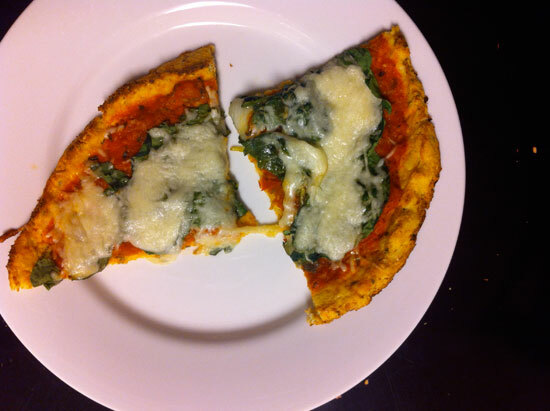 Add your cauliflower rice and cook it for 3-5minutes. 2. Strain the cauliflower rice and rinse it with cold water. 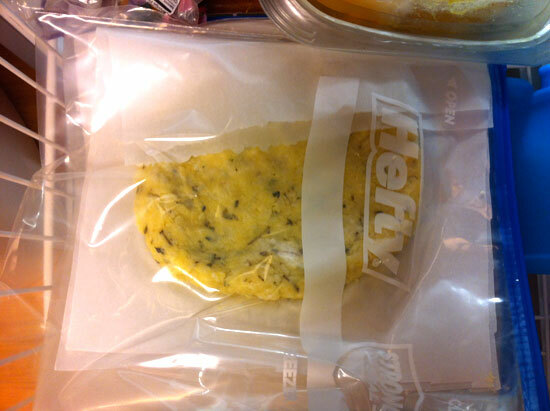 Then dump it into a dish cloth or cheese cloth if you have it (that's what I used) and SQUEEEEEEEZE, SQUEEZE, SQUEEZE!! As you can tell those are man hands in that picture. Grant squeezed out the water multiple times. This is a crucial step to ensure your crust is not soggy. 3. In a bowl mix together your spices, egg and grated mozzarella goat cheese. Add your dried cauliflower rice to the bowl and mix well. I used my hands! 4. 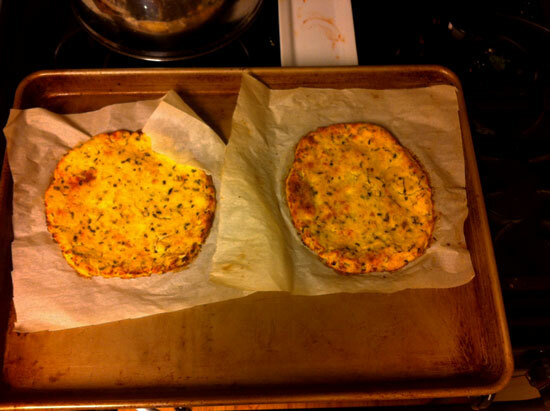 Roll your crust into a ball and then flatten out on parchment paper. I would strongly recommend using parchment paper. Grant went out and bought it while I was preparing the recipe because we were out. 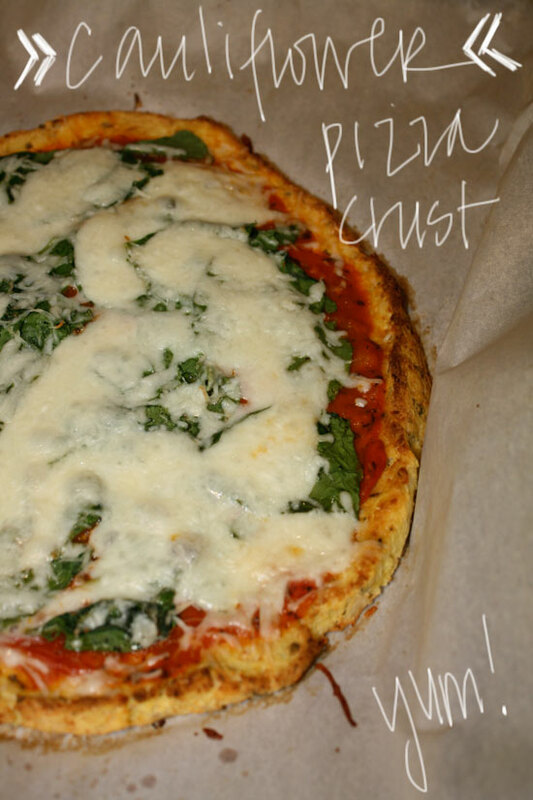 I used aluminum foil last time I made it, I even sprayed it, but it did not work--the bottom of the crust stuck! Bake your crust for at least 30 minutes. You want it to be CRISPY and BROWN on the edges. 5. 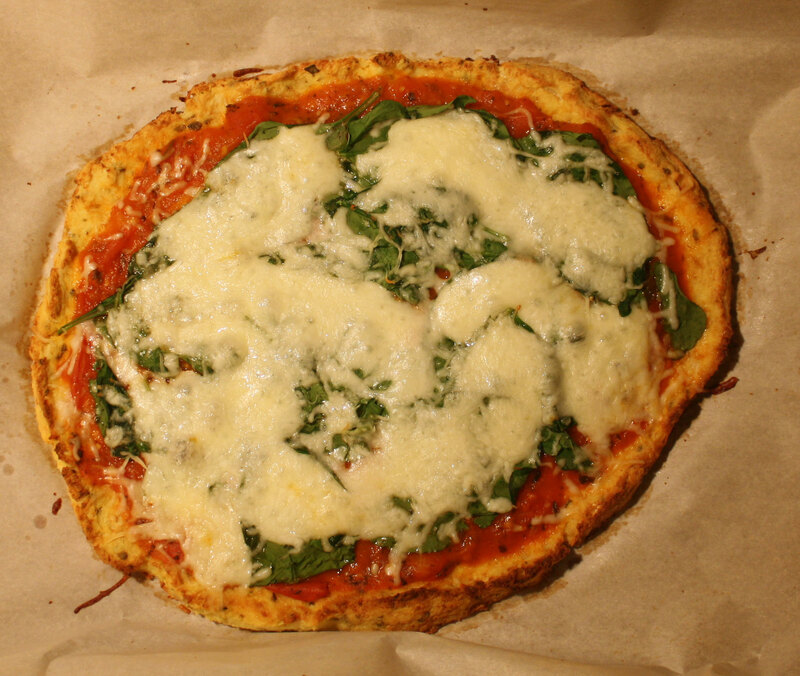 When crust is golden brown and crispy remove from oven, add your sauce and all your toppings then put it back in the oven for 10-12 minutes until cheese is bubbly. 6. 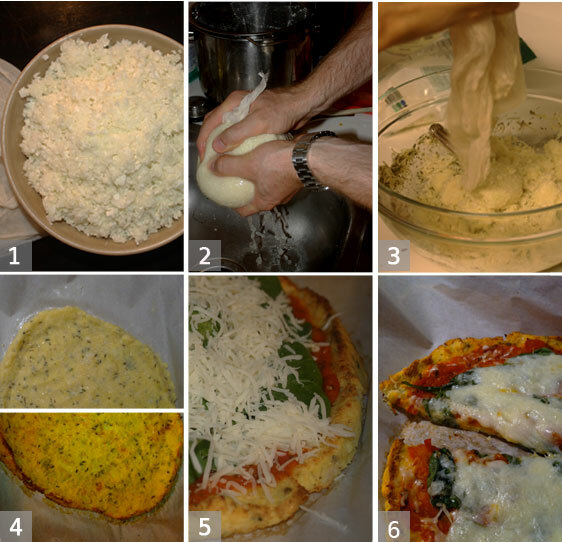 Let your pizza cool a bit then slice, serve & EAT IT UP! yummm.